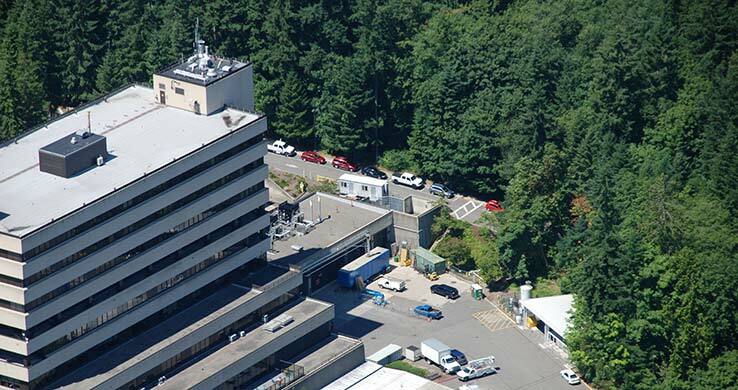 Work included demolishing 3 steam boilers, associated piping and the 8-story chimney flue, and installing two steam boilers, 4 condensing boilers, a new chimney flue, and associated equipment to upgrade the heating system of a Bremerton hospital. The removed boilers were replaced with two new 200 HP steam boilers as well as 4 condensate steam boilers. All work, other than the 7-story stack removal, was located within the boiler mechanical room. No external equipment throughout the hospital was replaced or modified.